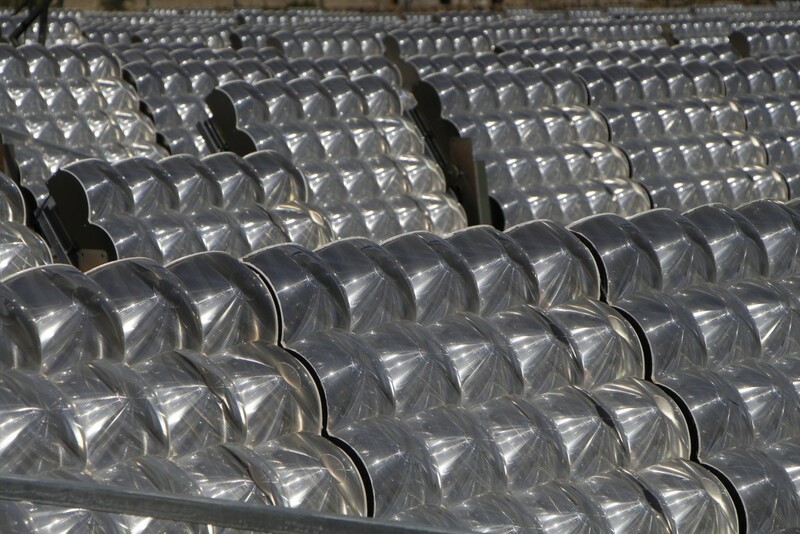 Supply of HCPV modules to a plant owned by German solar plant developer and operator Solar8 in Taranto, Italy. 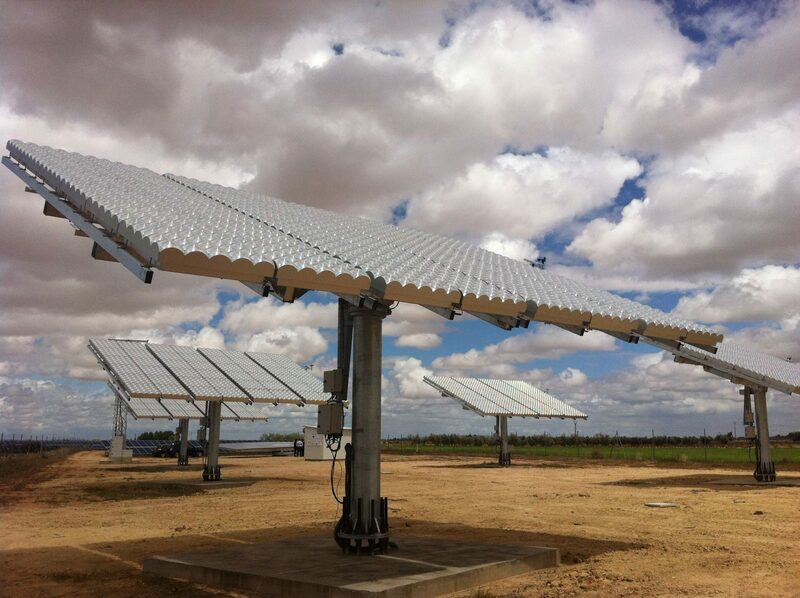 BSQ modules are adapted to an existant tracker designed and manufactured by Solar8. 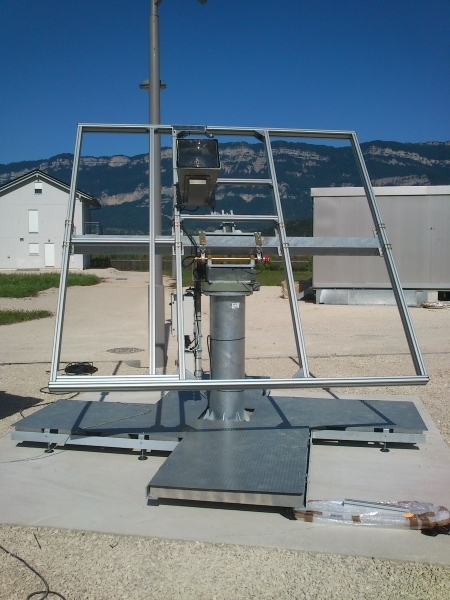 Being a carrousel multi-secondary axis tracker design it confers the plant a very low profile, with low lanscape impact and that eases installation and maintenance of modules. 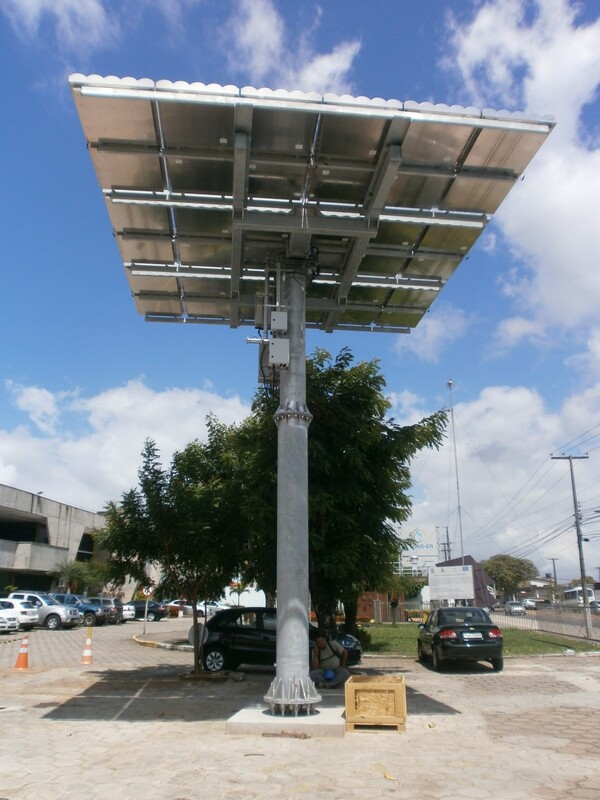 This project funded by the brazilian utility Petrobras was to install three HCPV systems in a parking lot area for urban integration. The systems were installed in the SESI (Serviço Social da Indústria) facilities. This project has been funded by the Brazilian oil company Petrobras. 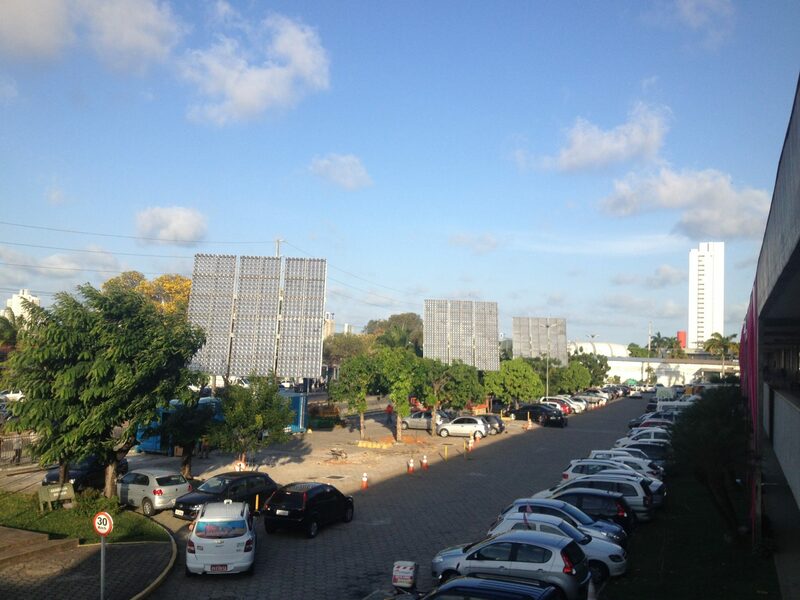 It required the installation of three HCPV systems in a parking lot area in the city of Natal within the the facilities of SESI (Serviço Social da Indústria). This project was funded by the Brazilian utility Tractebel Energia. 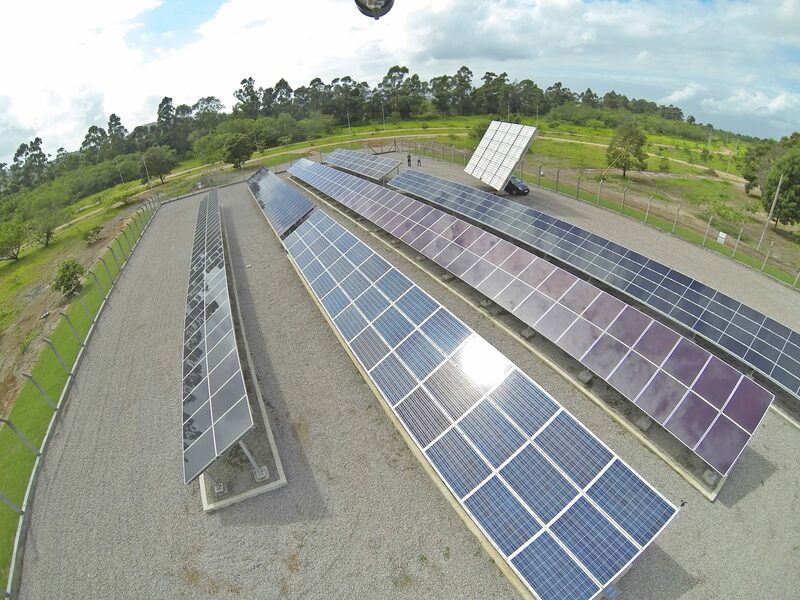 Its target was to test a set of 7 different technology and engineering options for the production of photovoltaic electricity, in a set of 8 different locations in Brazil chosen to sample the different climates and environmental conditions in the country’s territory. HCPV was one of the chosen technology options, and BSQ supplied all 8 x 13.44kW systems. 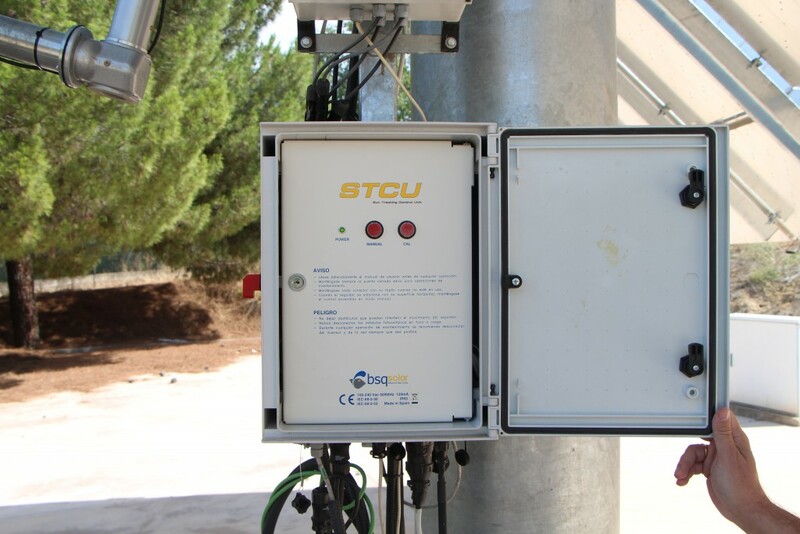 Another of the system options that is tested, is that of two axis tracking PV, and also here the trackers are supplied by BSQ. This power plan was installed within the bounds and using the facilities of a bigger PV plant of 700kW based on conventional flat plate modules, with a fixed tilted mount. 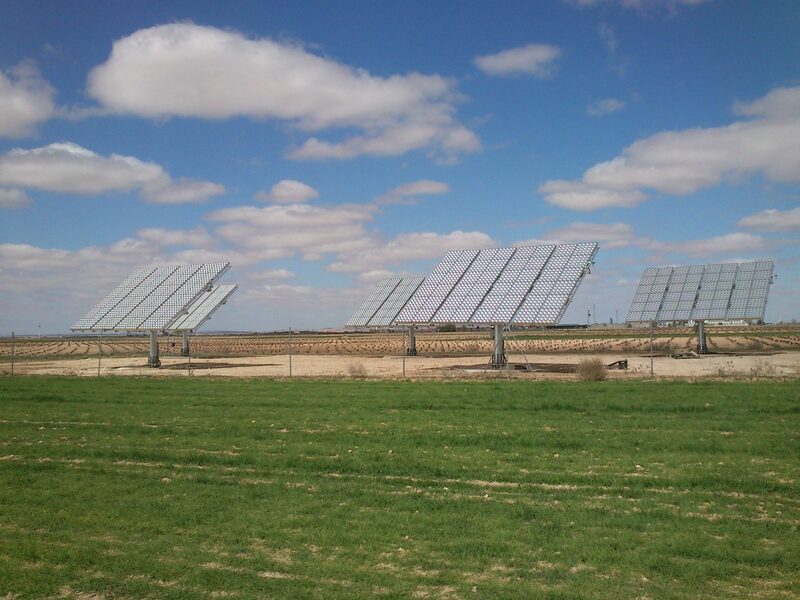 Located in the town of Villa de Don Fadrique in Castilla-La Mancha (Spain), the whole plant is operated by Spanish PV developer Generaciones Fotovoltaicas de La Mancha. It is grid connected, selling its production to the Spanish wholesale electricity market. 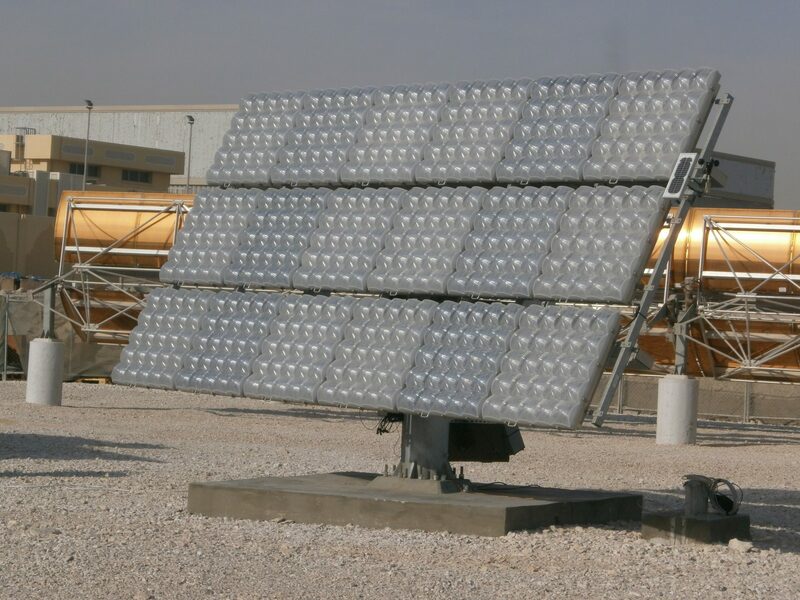 BSQ Solar can provide custom made HCPV system designs specially devised for installation in urban areas. The trackers here include larger poles, large enough to allow transit of people and vehicles underneath the HCPV array. 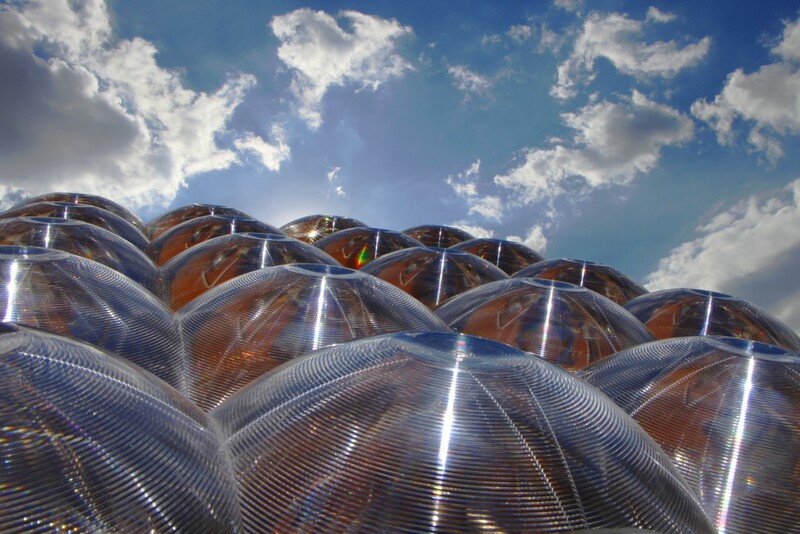 Can be integrated in parking areas, public or even domestic gardens, they are ideal to tap HCPV’s superior surface energy density – up to three times bigger than that of conventional photovoltaics – in cities with scarce and expensive land. We design and produce customized HCPV systems with reduced heigth and/or enhanced landscape type aspect ratios. These are optimal for installations and power plants were visual impact has to be reduced due to environmental reasons.